My dear King Pariksit, when the supreme almighty Lord, whose desire always comes to pass, had thus made up His mind, He withdrew His own family on the pretext of a curse spoken by an assembly of brahmanas. Srila Bhaktisiddhanta Sarasvati Thakura has made a very important comment on this verse. He states that since the intentions of the Supreme Lord, Krsnacandra, are always perfect, it was certainly in consideration of the greatest benefit for the entire world that He destroyed His own family on the pretext of a curse by brahmanas. 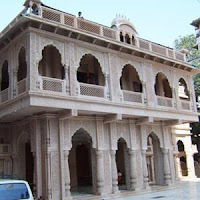 In this connection, Bhaktisiddhanta Sarasvati Thakura has shown a parallel in the pastimes of Sri Caitanya Mahaprabhu, who is Krsna Himself appearing as His own devotee. Lord Caitanya appeared along with His first plenary expansion, known as Lord Nityananda Prabhu, and with Lord Advaita Prabhu. All three personalities — Caitanya Mahaprabhu, Nityananda Prabhu and Advaita Prabhu — are accepted by Vaisnava acaryas to be in the category of visnu-tattva, the full status of the Supreme Personality of Godhead. These three Personalities of Godhead perceived that in the future Their so-called seminal descendants would get undue recognition and thus, being puffed up, would commit grave offenses against those who were actually Vaisnava gurus or representatives of the Lord. Every living being is part and parcel of the Supreme Lord, as stated in the Bhagavad-gita (mamaivamsah). Every living entity is originally a son of God, yet to execute His pastimes the Lord selects certain highly qualified living entities whom He allows to take birth as His personal relatives. But those living entities who appear as descendants of the Lord’s personal family may undoubtedly become proud of such a position and thus abuse the great adulation they receive from ordinary people. In this way such persons may artificially get undue attention and divert people from the actual principle of spiritual advancement, which is to surrender to the pure devotee who represents the Lord. The last eight verses of the Twelfth Chapter of Bhagavad-gita give a description of the pure devotees the Lord permits to act as acaryas, or spiritual leaders of mankind. In other words, simply to take birth in the personal family of Krsna is not the qualification for being a spiritual master, since according to Bhagavad-gita, pitaham asya jagatah: every living entity is eternally a member of the Lord’s family. Krsna says in Bhagavad-gita, samo ’ham sarva-bhutesu na me dvesyo ’sti na priyah: “I am equal to everyone. No one is My enemy, and no one is My special friend.” If the Supreme Personality of Godhead appears to have a special family, such as the Yadu dynasty, such a so-called family is a special arrangement of the Lord’s pastimes in order to attract the conditioned souls. When Krsna descends, He acts as if He were an ordinary person in order to attract the living entities to His pastimes. Therefore Krsna acted as though the Yadu dynasty was His personal family, although in fact every living entity is a member of His family. Ordinary people, however, not understanding the higher principles of spiritual knowledge, easily forget the actual qualifications of a bona fide spiritual master and instead give undue importance to people born in the Lord’s so-called family. Sri Caitanya Mahaprabhu, therefore, avoided this impediment on the path of spiritual enlightenment by leaving behind no children. Although Caitanya Mahaprabhu married twice, He was childless. Nityananda Prabhu, who is also the Supreme Personality of Godhead, did not accept any of the natural sons born of His own son, Sri Virabhadra. Similarly, Lord Advaita Acarya divested of His association all of His sons except Acyutananda and two others. Acyutananda, the chief faithful son of Advaita Acarya, had no seminal progeny, and the remaining three of the six sons of Lord Advaita fell from the path of devotion to the Lord and are known as rejected sons. In other words, the appearance of Caitanya Mahaprabhu allowed little facility for continuing a so-called seminal family to create confusion. The respect shown to the conception of seminal lineage in deference to the ideas of the smartas is unfit to be accepted by one who actually understands the supreme truth from Vedic authority. Other acaryas, or spiritual masters, have also demonstrated this point in their own families. His Divine Grace A.C. Bhaktivedanta Swami Prabhupada, our own beloved spiritual master, who is the mighty author of this Srimad-Bhagavatam series, was born in a family of pure devotees, and he himself exhibited all the symptoms of pure devotional service from his very childhood. Srila Prabhupada eventually came to the Western countries and exhibited unprecedented spiritual potency in establishing the Krsna consciousness movement all over the world. In a few short years, he translated more than fifty large volumes of Vedic philosophy. By his practical activities he is certainly understood to be a most empowered representative of the Lord. Nonetheless, his own family members, although devotees of Krsna, did not at all come up to the proper standard of devotional service and are therefore not given attention by the members of ISKCON. The natural tendency for the members of the International Society for Krishna Consciousness would be to offer all reverence and worship to the members of Srila Prabhupada’s immediate family. But since by Krsna’s arrangement these family members are not at all on the platform of pure devotional service, the members of ISKCON give them hardly any attention but instead worship those who actually exhibit the qualities of highly advanced Vaisnavas, regardless of their so-called birth. In other words, birth cannot constitute the qualification for a respectable person, even when one is born in the Lord’s own family or in the acarya’s family, what to speak of an ordinary wealthy or learned family. In other words, the essence of spiritual knowledge is that every living being, regardless of his present status in life, is originally a servant of the Supreme Lord, and it is the mission of the Lord to reclaim all of these fallen living entities. Despite his past situation, any living being who is willing to surrender again at the lotus feet of the Supreme Lord or His bona fide representative can purify himself by strictly adhering to the rules and regulations of bhakti-yoga and thus act as a high-class brahmana. Nonetheless, the seminal descendants of the Lord think themselves to have acquired their ancestor’s character and position. Thus the Supreme Lord, who is the well-wisher of the entire universe and especially of His devotees, bewilders the discriminatory power of His own descendants in such a contradictory way that these seminal descendants become recognized as deviant and the actual qualification to be a representative of the Lord, namely unalloyed surrender to the will of Krsna, remains prominent.